Do you fancy a thrilling drive against the clock this summer? There are numerous driving schools in the UK but only one has 3 miles of incredible Welsh rally stages- Phil Price Rally School. Our amazing rally stages are so incredible, they’re used for pre-event testing. Winners of the 2017 Certificate of Excellence from Trip Advisor, Phil Price Rally School believe it’s our job to give you an epic day out. 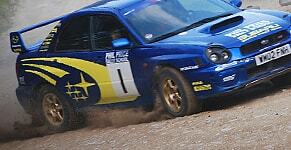 For a true rally driving experience simply book our One Day Intense Course. So, what does an action packed day with Phil Price involve? Firstly, we give you a brief introduction to the sport than take you out on the track with one of our instructors. Unlike some rally schools, we always want to make sure you enjoy plenty of time in the cars. Once out on the practice stage we’ll have you practicing slides and learning how to control them using the power of your car, with our instructors explaining approaches to corners, braking techniques and driving lines. After a brief break for lunch, it will be your turn behind the wheel! Once you’ve had plenty of practice, the day will cumulate with an exciting finale with a competition against the other Rally School competitors. 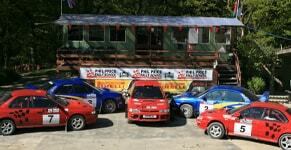 Discover more about our rally driving days today.